Following their recent attempts to terrify us into buying a gaming PC with the Aurora R4, Alienware has now come over all friendly and announced the X51, a gaming PC that’s hidden in a console-style box. With the ability to stand vertically or lay horizontally, the new X51 could happily sit alongside other gaming machines under your TV too. Despite a footprint barely larger than an original PS3, the X51 still packs in plenty of tech, and it being an Alienware machine means the internals can be tailored to your preferences. The basic machine uses the Intel Core i3 3.3Ghz processor with 4GB of RAM, a Nvidia GeForce GT545 graphics card and a 1TB hard drive. If you’re prepared to spend some money on your X51, you can select a Core i5 or Core i7 processor, up to 8GB RAM, a Blu-ray drive, an SSD and a better graphics card; or choose from 8 different standard builds. All this is what we’ve come to expect from Alienware – top-notch, upgradeable specs and a good-looking chassis; but what makes the X51 standout is its entry-level price. For the Core i3 machine with the basic specs mentioned above, Alienware has attached a $699 price tag, which considering how it looks and the spec it contains, seems very reasonable. One of the company’s senior product consultants told TechRadar.com that he doesn’t believe “there is anything close” to the X51 in terms of performance and style at a similar price. It’s also good to see Alienware recognizes there are other markets, and not everyone wants high-price, high performance monsters like the Aurora. 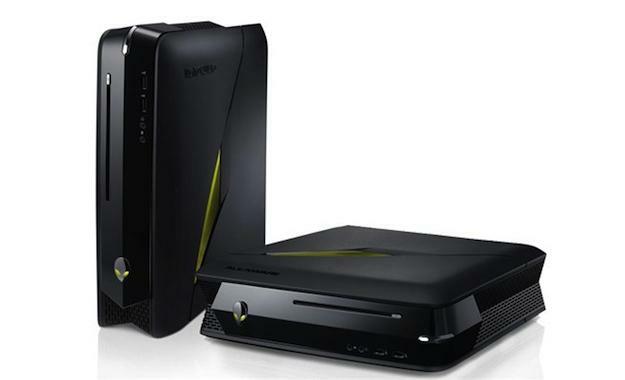 The X51 has just shown up on Alienware’s website, and orders will begin later today.